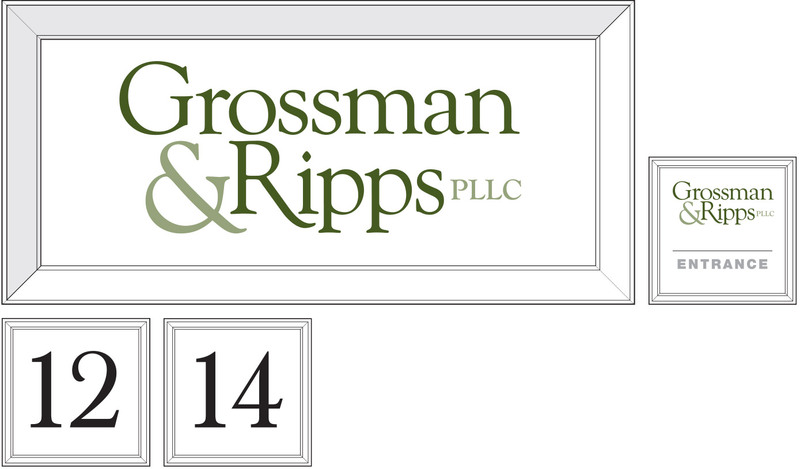 ​CGD has just completed an exterior sign project for the headquarters of Grossman & Ripps PLLC of Norwich, Vermont. The program features a prominent address numeral, the primary ID sign with G&R’s logo (newly designed by their web site provider), and confirmation-of-arrival door markers for G&R and an adjacent rental entrance. The sign structures and font choices were designed to complement the traditional vernacular of the Client’s historic riverfront building.